Memorial Day is a federal holiday in the United States. It is observed on the last Monday of May each year, which this year falls on the 28th of May. This holiday commemorates all the men and women who died while serving in the country’s armed forces. 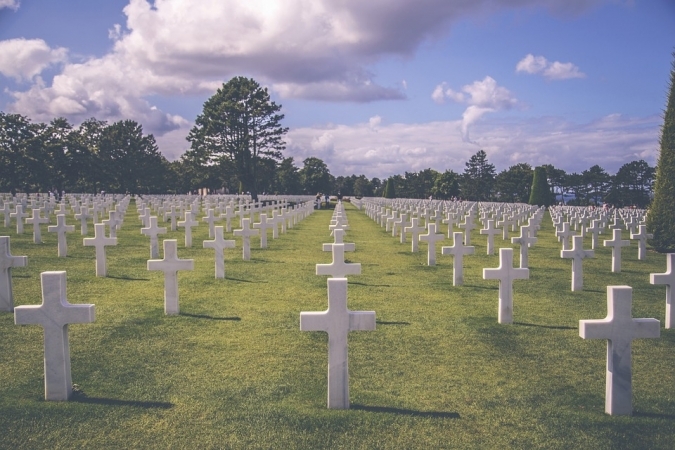 On Memorial Day, people usually visit cemeteries and memorials. Cities and towns across the nation host parades participated in by military personnel and veterans. On the day itself, the U.S. flag is traditionally raised quickly to the top staff then carefully lowered to the half-staff position where it remains until noon. When noon comes, it is then raised to full-staff for the remainder of the day. The half-staff position of the flag is meant to remember the more than 1 million servicemen and women who have sacrificed their lives for our country. Raising the flag at noon signifies that the nation lives on, that the country won’t let the sacrifices of its fallen heroes to be forgotten, and that it continues to stand up in their honor and move on to continue their fight for liberty and justice for all people. Unofficially, Memorial Day is considered as the start of the summer vacation season. Memorial Day was previously called Decoration Day. It was a day when people would decorate with flowers, wreaths, and flags the graves of their kin who had served in the U.S. armed forces. On May 30, 1868, when the event was first observed, General John A. Logan made a proclamation to commemorate the sacrifices of soldiers who died during the American Civil War. During its first national celebration, General James Garfield made a speech at Arlington National Cemetery, and 5,000 participants helped in decorating the graves of 20,000 Union and Confederate soldiers buried there. Numerous Northern states held similar commemorative events and repeated the tradition in the following years. By 1890, Decoration Day had been an official state holiday. However, Southern states continued to honor their dead separately until World War I. Memorial Day, as Decoration Day eventually came to be known, originally honored only those who had fought and died in the Civil War. However, during World War I, the US found itself involved in another major conflict. 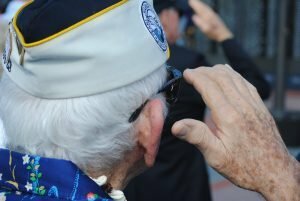 This prompted lawmakers to modify the statute to extend the scope of the commemoration to include all the men and women in the U.S. military who died in any war. Memorial Day used to be observed on May 30 of each year. It’s the date chosen by General Logan. However, Congress passed the Uniform Monday Holiday Act in 1968. This established the commemoration of Memorial Day on the last Monday in May each year to make room for a three-day weekend for federal employees. This took effect in 1971. The same law also made Memorial Day a federal holiday. The importance of remembering those who gave their lives for our country cannot be overemphasized. However, we also need to give significance to those veterans who are still with us. Many of them returned home after spending the best years of their lives serving the nation as U.S. troops deployed overseas to defend our liberty and protect our nation’s security against foreign forces who wanted to do us harm. After experiencing the horrors of war and hardship on the battlefield, after years of separation from their family, they returned home expecting a better life. Unfortunately, many of them have been finding it extremely difficult to transition to civilian life. Many face even tougher struggles now than the ones they faced on the battlefield. These are the veterans who have fallen into poverty as a result of a combination of factors such as inability to find employment, lack of financial support, inability to secure government benefits due them, lack of decent housing leading to homelessness, severe and permanent service-connected injuries resulting in physical disabilities, and untreated mental illnesses such as Post-Traumatic Stress Disorder. These veterans are considered as our nation’s heroes, and they badly need help. If you would like to give back to our unsung heroes for all the sacrifices they’ve done and for keeping us safe and sound at home, we invite you to donate your old car or any other vehicle to us at Veteran Car Donations. You can make your donation anywhere in the United States since we have car donation programs in all 50 states. For more than 20 years now, we have been supporting our veterans by generating funds that our nonprofit organization partners use to deliver various kinds of services to our former troops all geared to improve their living conditions and give them a brighter future. Your car donation would make a difference in the lives of our veterans. At the same time, our fundraiser would serve as a convenient platform for you to dispose of your old and unwanted vehicles. To top it off, you’d get plenty of rewards for your generosity, including a top tax deduction. We will provide you an easy and hassle-free donation process. You will do no paperwork and we will tow your car for free even if it is not in good condition. We will sell your car and use the proceeds to fund the various veteran-focused programs of our nonprofit organization partners. These programs deliver vital services to our veterans including housing support, financial assistance, medical aid, grief counseling, job training, and scholarships among many others. To get started, simply contact us at 877-594-5822 or fill our online donation form. There is no better time than now to extend assistance to our veterans. Let’s give back on Memorial Day. Donate now!